In engaging and informal language, Ruth Price invites pianists to look for the magic in well-known works from both concert and student repertoire. What gives a piece its identity? How can we get inside the composition in order to develop an interpretation? What makes us fall in love with certain passages? Right Before Your Eyes passionately delves into piano music through score study, based on the idea that if we start with our emotional reactions to the music, analysis and interpretation will flow more naturally. 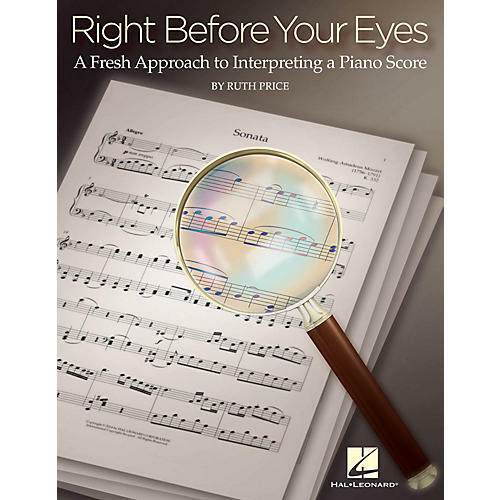 It is a valuable guide to score study for students at every level, and a must-have book for every piano teacher.